He was an outstanding editor, full of ideas, able to prod and provoke writers into doing better work than they thought they could. He was a second-rate intellect who was outside the literary mainstream, but he punched above his intellectual weight. Albert Einstein subscribed to Astounding. Werner von Braun, in wartime Germany, reportedly took the trouble to obtain copies of the Swedish edition. Carl Sagan, Gene Roddenberry, Stephen King, Paul Krugman, Elon Musk, Newt Gingrich and George R.R. Martin all acknowledge Campbell’s influence. When I visit my local Barnes & Noble bookstore, the space given to science fiction exceeds all other genres combined. Without Campbell, there still would be adventure stories set against a science fiction background, like Edgar Rice Burroughs’ Mars stories, and there still would be literary writers, like H.G. Wells and Olaf Stapleton, who use science fiction themes, but It’s highly unlikely that science fiction would pervade the culture of the English-speaking world as it does today. 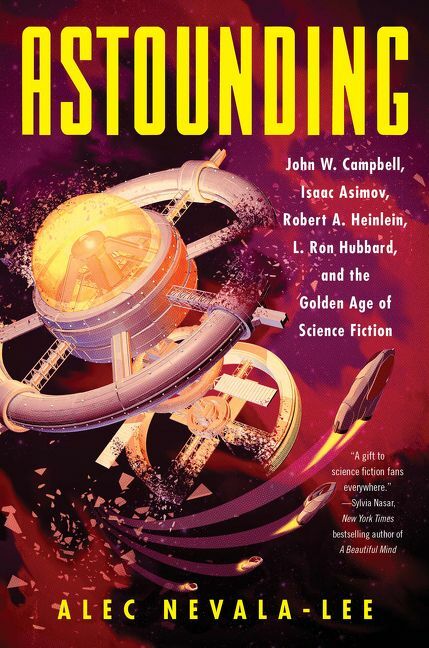 The other factor in the growth of science fiction, mentioned only in passing in this book, is science fiction fandom, a distinctive and maybe unique community in which writers and readers can interact and discuss the genre. As for myself, I never participated in fandom, Astounding Science Fiction magazine and books by Astounding writers were my main source of intellectual stimulation when I was a young teenager. I have continued to read science fiction all my life, and while I pass over the bulk of it, I find the best science fiction a source of great pleasure and food for thought.